After rolling over since July 24th, the record-breaking MegaMillions lottery jackpot of USD$1.6 billion (AUD$2.25b) has finally been won. 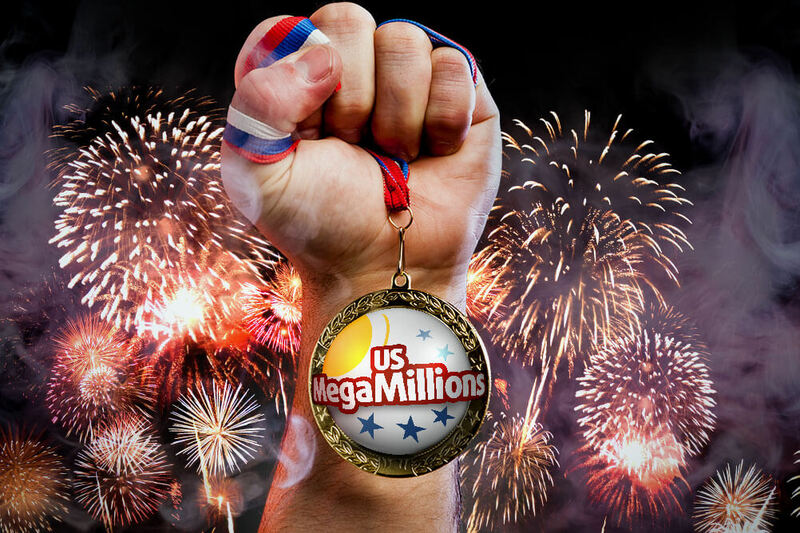 Read on to find out more about this enormous MegaMillions win! The winning ticket was sold in South Carolina, and the winning numbers were 5, 28, 62, 65 and 70, plus the MegaBall 5. The winner can now choose whether to accept 30 annuity payments over 30 years or to take a lump sum amount which will be reduced to USD$905 (AUD$1.27 billion) before taxes. Either way, safe to say that this record-breaking winner can give up the day job! In recent days and weeks lengthy queues have been a common sight at petrol stations and shops in the U.S. as lottery fever took hold of the country. Likewise, here at Lottoland we enjoyed a surge of sales thanks to that giant MegaMillions jackpot, which smashed the previous MegaMillions jackpot record of USD$656 million. This MegaMillions jackpot rolled over no fewer than 25 times before finally being won, but this record-breaker was certainly worth waiting for. However, it still hasn't (quite) beaten the previous world record for a lottery jackpot which is the USD$1.58 billion Powerball prize which was split between three ticket holders from California, Florida and Tennessee. The record for a single ticket jackpot win was the USD$758 million won by Mavis Wanczyk from Massachusetts in 2017 and that second record has now been consigned to the history books thanks to this latest monster jackpot win by a single ticket-holder. We may never find out just who that winner is though, since South Carolina is one of the few states to allow MegaMillions winners to remain anonymous. Since the MegaMillions jackpot started rolling over more than 50 million prizes have been paid out over the nine prize tiers of this lottery, with 85 of those being worth more than a million dollars. In the lead up to Tuesday's draw a massive 36 second place prizes were won, paying out around USD$1.3 million each (or twice that for the two players who paid for the optional Megaplier feature). So MegaMillions can't manage to regain its crown as King of the Lottery Jackpots, as that honour remains with Powerball!